Every year my sons and dear husband ask me what I want for Christmas. Of course, in reality, we all know that if I didn’t get anything for Christmas, there would be many tears, many days of silent resentment and a lot of pink socks for the rest of the year. It’s just that I have a hard time asking my family to spend some of our limited holiday budget on me when I know that it could go to them instead. Motherhood martyrdom at its best. And the truth of it is that I don’t want to tell them what to buy or how much to spend. I want them to somehow telepathically figure out what it is that would make me happy. This, of course, from three guys who didn’t notice that I was wearing two different socks this weekend. I’m not talking like a navy blue sock and a black sock. I’m talking one over the knee green leprechaun sock, complete with belt buckle print, and the other a sock that looked like a Chuck Taylor high-top canvas sneaker. Yeah, I know… I was tired and didn’t feel like going through all of the laundry piled up on my chair in the bedroom. So sue me. My feet were cold. Anyway, it occurs to me that I’m expecting miracles from three men who only notice whether or not I’m happy or sad, and react accordingly. My youngest son, Max, looks at me when I’m happy and dancing in the kitchen in my mismatched sock feet and wonders why he must suffer through the torture of being born into such a weird family and leaves the room. My oldest son, Mason, sees me in a bad mood (that can come about because of anything from an errant email to a bad day at work), comes up, puts his chin on the top of my head, hugs me and… leaves the room. They don’t know why I feel the way I do, and most times they don’t ask. They just leave. Anyway, here I am faced with putting down a list of what I want for Christmas. In the past, without asking for anything, I’ve gotten some really great things – some really beautiful teapots for my collection, some antique salt and pepper shakers for my collection and some enamel boxes for my collection. I’ve gotten a wine opener, hand-painted wine glasses, a Pyrex baking dish and some wonderful bamboo cutting boards. I’ve never been one of the moms who gets presents they don’t like. I love the “Queen Mom” coffee cup one of my sons gave me one year (still use it) and the rhinestone angel necklace I got another year (still in my jewelry box). When they look at me with that expectant half-worried look on their faces about whether or not I actually WILL like it, it makes me like it all that much more. I mean, it’s worked out really well for me to not say anything. I still end up really happy. It’s not like there’s any “carbon action, dual barrel, Red Ryder BB gun” for Moms out there. This year, the requests have come early. Like, starting in Labor Day, when the Christmas decorations came out in stores, they wanted to know what I wanted Santa to bring me. And since they told me that they’re sick of buying salt and pepper shakers, cooking equipment, tea pots and painted wine glasses, I guess I need to help them out a bit. 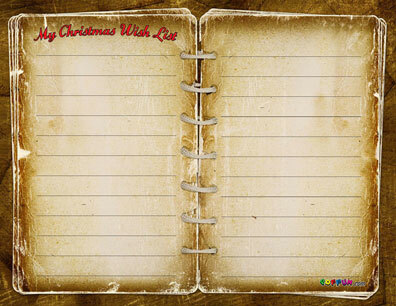 So… here goes… my Christmas list. Max: What I really want is a replacement for my skillet. I don’t want a set of teflon coated skillets from Targe t or Kmart, I want an exact duplicate of the one that I have. I bought the one I have at our grocery store. It’s about $20 and they are located near the candy aisle – which would be a great place to pick up one of those Lindt chocolate reindeer sets that I’ve always wanted to find in my stocking… not in replacement of anything, but in addition to… just saying. Big Mason: Now truth be told, I really feel guilty about asking you for anything. Just this last weekend you bought me two antique salt and pepper sets (one was a mini Schlitz beer bottle set – SWEET! – and the other antique silver cowboy boots – SUPER SWEET! wait, am I gushing a bit? yeah… deal with it) and then you went and got me 52 bottles of wine in a raffle at the Furball for the Anderson County Humane Society. I’ve literally got my wine advent calendar set and still have bottles left over for the rest of the year. So, what do I ask you for? I don’t know. I really don’t know…. can I get back to you on that? Slippers are good… a nice robe? Matching socks? Really, what can you give me that you haven’t already given me seven fold before? Mom: I want some really nice Christmas towels for the bathroom and the kitchen. I think the ones I have are more than 300 years old, and more than likely, ones that I’ve stolen from your house over the years. I’d just like to have a set that I can bring out the day after Thanksgiving and enjoy the rest of the year. Last year, you sent me to the Erma Bombeck Humor Writer’s Workshop, so you’re off the hook for anything big for years since you crossed something off my bucket list. I guess, speaking of bucket lists, what I really want is something that would let me cross another one of those things off of it. 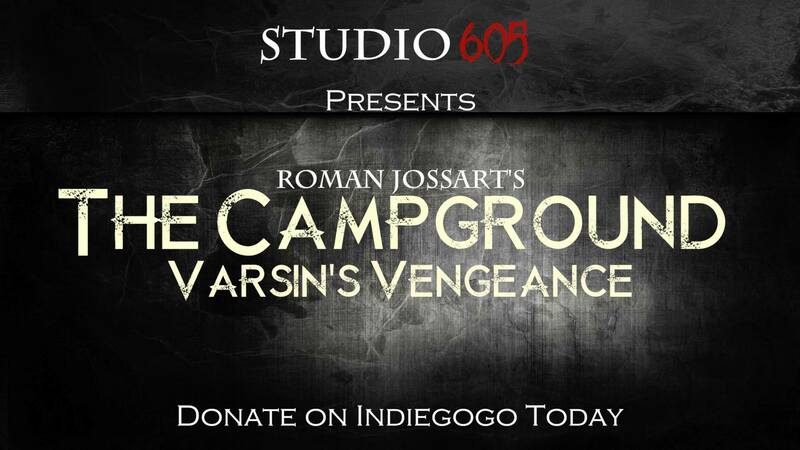 What I really, really want … what I think this year is my Red Ryder BB Gun this year, is to have someone fund an indiegogo.com campaign for “The Campground” (https://www.indiegogo.com/projects/roman-jossart-s-the-campground-varsin-s-vengeance) in my name so I can be killed off in a horror movie, with my friend Harry McCane doing the make up to make me look good and dead. I realize that watching me being killed may, in fact, be the Christmas dream of a few people out there, but think about it… buy this and we’re both happy! And I kind of agree… I probably should like normal things like normal people. But in a pinch, I’m pretty sure chocolate and wine would suffice.